By this time next week, I will have seen Avengers: Endgame and all will be right in the world. I can’t wait. I’m very excited. Let’s hope I’m not too excited! Until then, we’ve got to read some fun comics, like Guardians of the Galaxy and the final issue of West Coast Avengers! The War of the Realms also continued this week! But Comic Book of the Week goes to the big, climactic issue of Tony Stark – Iron Man for a solid, enjoyable story. Meanwhile, my skimming of new Uncanny X-Men issues reaffirms my correct decision to drop them. More characters I like are dead. Though if my brother is reading this, he might be slightly pleased to know that the original Pyro has been stealth returned to the living…though apparently as a one-note bad guy. I’m working on a larger Pyro article, I promise. Comic Reviews: Guardians of the Galaxy #4, Magnificent Ms. Marvel #2, Tony Stark – Iron Man #10, War of the Realms #2 and West Coast Avengers #10. This was a good week. This was a very good week! I had another busy week at work, so I didn’t review everything I probably could have. But then I ended up cutting all of the comics I’m only lukewarm about! So we’ve got a week where I was in love with pretty much everything I read! How fun is that? We’ve got really fun issues of Go Go Power Rangers, Tony Stark – Iron Man, Runaways and Unbeatable Squirrel Girl, some of my current favorite comic books! We’ve got the first issue of the relaunched Magnificent Ms. Marvel, which is really neat! 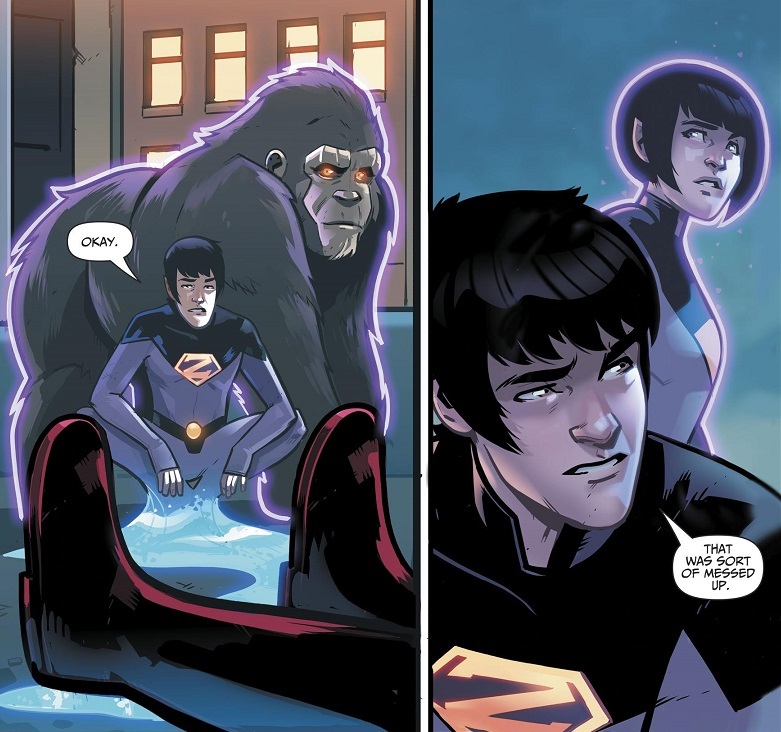 But Comic Book of the Week goes to my new super favorite series, Wonder Twins. It’s better than I could have ever hoped. Meanwhile, the issues of Age of X-Man keep piling up and I keep ignoring them. Through basic internet osmosis, I’m not hearing anything too exciting or positive. So I really may just stick with X-Tremists. In better X-Men news, Sina Grace got a nice big wrap-up to his Iceman comic and it was really fun! Though I completely oppose the Iceman/Daken ‘ship, almost entirely because Daken is terrible. Comic Reviews: Go Go Power Rangers #18, Magnificent Ms. Marvel #1, Runaways #19, Tony Stark – Iron Man #9, Unbeatable Squirrel Girl #42 and Wonder Twins #2.